Radial End brushes are manufactured by permanently mounting constructed copper-center crimped wire wheels on 1/4” shanks. This brush design results in stiffer construction equal to bench mounted wheels and eliminates the need for reverse shanks. 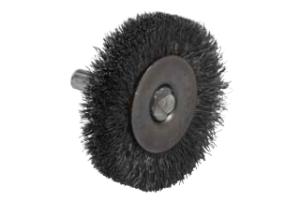 We offer this brush with carbon steel, stainless steel, brass and encapsulated carbon steel filaments. 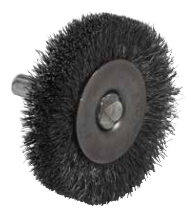 Suggested applications of Radial End brushes include cleaning and polishing surfaces.